i was only six at the time, still living in north-east scotland and riding around on a blue tricycle with real spoked wheels and something resembling a bread bin sited between the two rear wheels. it did possess a bell, and i recall there were some form of blocks affixed to the pedals because my legs may have been a tad too short to fit the crank arms. we lived on a gently sloping and appropriately lengthy street with a mild kink in the middle (ish) which allowed wads of unfettered freewheeling, even on a less than pristine tricycle. of course, think far enough ahead, and you can see that this downhill would, at sometime of other, turn into a puffing and panting uphill. that may have seen the start of my robert millar ascending hopes. it was also, i am reliably informed, the year in which trade teams returned to the peloton in le tour de france, offering a commercial spectacle to those cheering vehemently by the roadside. as a six year-old i was totally oblivious to this fact. i had never heard of mercier bicycles (unless they made cute little blue tricycles), though i may well have come across bp given that it happened to be my intials. if memory serves well enough, the tyres on my tricycle were white, or at least had been before six year-old me got hold of them. i very much doubt the lettering on the sidewalls affected the name hutchinson. mercier-bp-hutchinson succeeded the more economically named mercier-hutchinson in 1956, continuing through until 1969, the very year that another armstrong featured on the nine o'clock news. however, to return briefly to 1962, the podium steps at the end of those 21 days in july were occupied by the inimitable jacques anquetil, shored up by jozef planckaert, a belgian riding for the flandria team, and for once, the eternal second, raymond poulidor, came in third in the colours of (you've guessed it) mercier-bp-hutchinson. with 2013 celebrating the 100th edition of the tour de france, and no end of celebrations planned, rapha have offered up their own tribute by releasing three individual trade team jerseys refelecting those on that 1962 podium in paris. 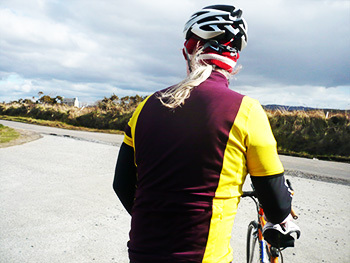 perren street entered the cycling apparel market in 2004 with their classic jersey, a feat of minimalism in both white and black sportwool, a material rarely, if ever, before seen in any manner of national or international peloton. comprising a mixture of polyester and merino wool, sportwool offered a welcome antidote to sublimation printed polyester, a material that more often than not turned the innocent pelotonese into a particularly garish advertising hoarding. hence the joy of sportwool. performance cycle clothing has been the poster boy for sir dave's infamous marginal gains, a fact that has entered the realm of science as well as speed, attested to by a single page feature in this month's wired uk magazine. rapha's chief designer graeme raeburn has been quizzed regarding the slipperiness, breathability and heat-reflective properties of cold black permeated polyester. once you've arrived at this peak, there's no going back. but that fact does not in any way detract from my sigh of relief that the package arriving from imperial works, contained purple and yellow sportwool, with the trademark hoop on the left sleeve and a miniature tricolour underneath. my sense of comfort was darned near palpable. a full-length zip, three rear pockets (augmented by an almost hidden zipped fourth) and coloured panels instead of just colours, surely fulfils every pelotonic individual's needs or wants? each of the jerseys in this brief range has an artefact paying testament to its wearer in 1962. anquetil gets a stopwatch for perhaps obvious reasons, planckaert has his lion of flanders while poulidor is honoured with a heart set in a map of france. 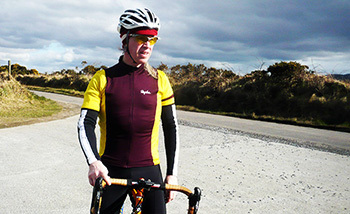 much as i'd love to bolster my self-made image as a hardened hebridean, one who laughs in the face of adversity, a short-sleeved jersey, even one forming a part of rapha's spring/summer catalogue, is a fraction too skimpy to be worn on islay in march without a pair of armwarmers. they may well detract from the look cultivated by perren street, but, as my mum always used to say, pride bears no pain. armwarmers it is. at this time of year, however, accessorising is always a creative option. 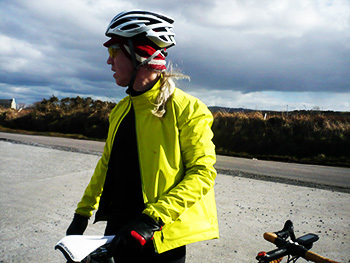 wearing sportwool short sleeves over a long-sleeve winter weight merino baselayer, topped out by a pro-team jacket, softshell or hardshell not only marks one out as amongst the more stylish of the peloton (even if stuck at the back, grovelling to stay in contact), but pretty much covers all climatic possibilities purveyed by an hebridean island. and when sheltering in debbie's for froth and toastie (pepper only, no salt), the short sleeve over long sleeve look identifies a confident level of insouciance. 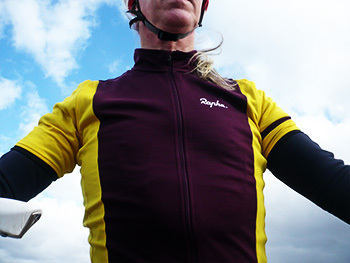 it is ever possible that i constitute a portion of the male cycling population physically constituted to almost impeccably fill rapha's medium sized jersey. ever since day one, i have worn this particular size, and it's like the apocryphal old pair of slippers; not only does it fit, it fits exceedingly well. though i have no real misgivings over any flavour of polyester, to my mind sportwool simply cannot be beat, and all the more so when it inhabits a purple and yellow aura. that said, should you wish to be less showy and have the confidence of first or second on the podium, pale blue and red or red and white are not options to be sneezed at. it would be understandable to think that everything (understated) that could be said in sportwool had already been said. rapha's trade team jersey, if anything, proves otherwise. 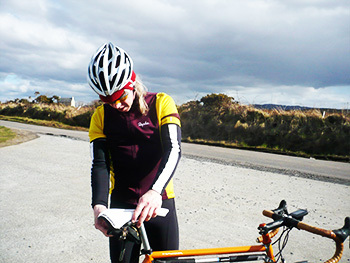 rapha's s/s trade team jerseys are available in purple/yellow, blue/red or red/white, in sizes xs to xxl at a cost of £110 ($175). there are also matching trade team caps available.